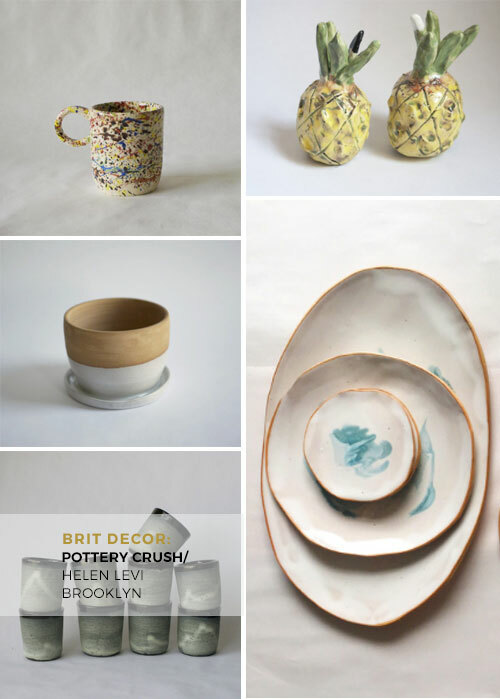 This post is purely fuelled by inspiration...well this and my ongoing crush for handmade pottery! 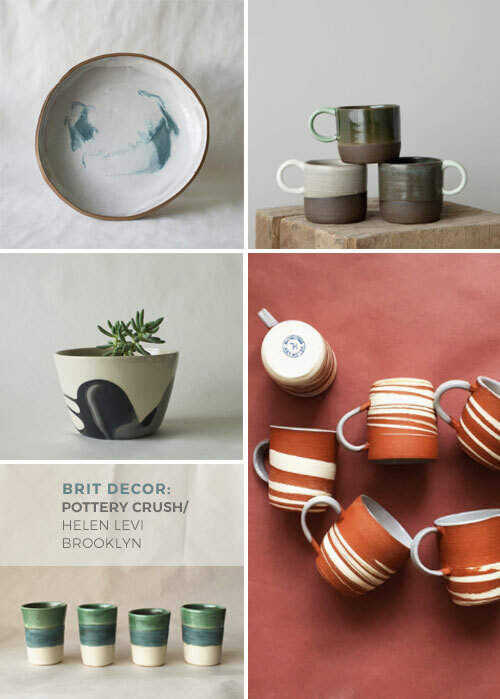 There is something so simple and organic about this dreamy collection homeware goodies from NYC based potter and photographer, Helen Levi, that I just wanted to share it with you. 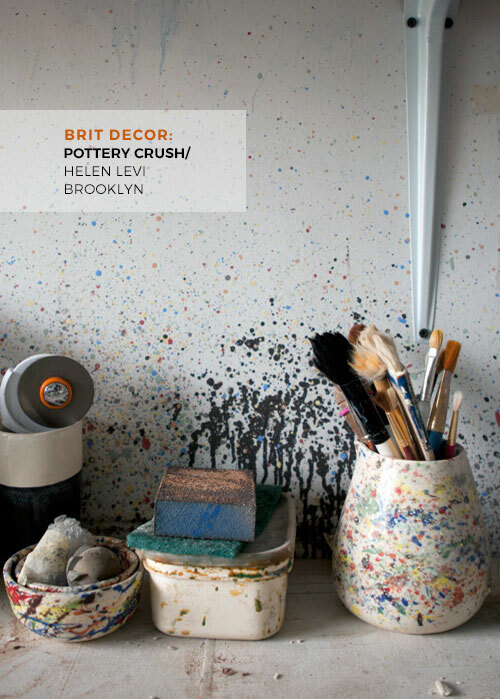 Pottery is making headlines these days and Helen's pieces are no exception with high profile mentions in publications such as American Vogue (the September issue no less) and House Beautiful, to name but a few. And it's easy to see why. In an age of mass production it's good to see that many of us home-lovers are turning to uniquely handcrafted products to adorn our nests - each piece an individual work of art. 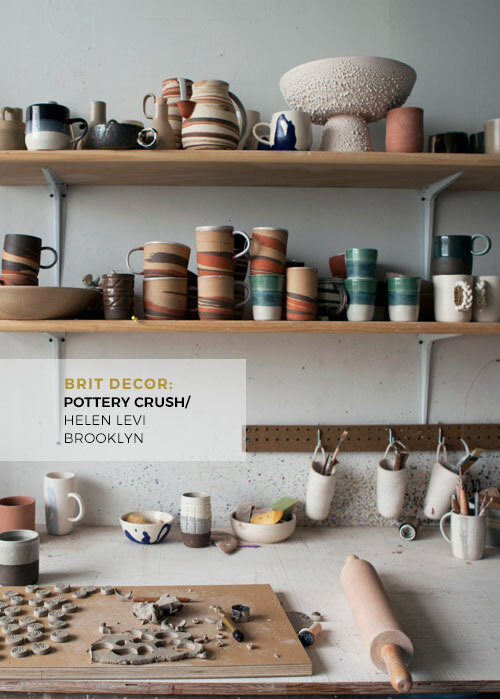 It's for this same reason that I've fallen head-over-heels for Helen's collection of earthy-toned ceramics and quirky pieces, all of which are the kind of wares that I would like to leave on display in my kitchen, rather than tucked away in a cupboard.